The American planemaker Boeing and ALAFCO Aviation Lease and Finance Company used the public spotlight of the Dubai Air Show 2017 to 'finalise' a deal that was completed some time ago for an order of 20 additional 737 MAX 8s. 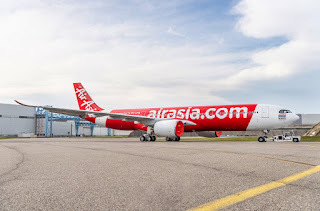 These additional aircraft will take the total that ALAFCO has on the order books to 40 frames. 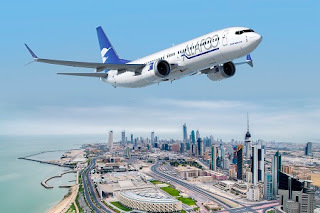 ALAFCO is a Kuwait-based global provider of commercial aircraft leasing options to airlines and originally announced this deal back at the Paris air show. "Our customers rely on fuel-efficiency, reliability and low operating costs to be successful and the 737 MAX aircraft will meet the needs of our customers, and support ALAFCO's future growth," said Adel A. Albanwan, Deputy Chief Executive Officer, ALAFCO. "We have had success with the 737 family in the past and are confident the 737 MAX will continue to help grow our business." Boeing has forecasted that airlines in the Middle East will need 3,350 new aeroplanes during the next 20 years, "Traffic growth in the Middle East is expected to grow at 5.6 percent annually during the next 20 years," said Randy Tinseth, vice president of Marketing, Boeing Commercial Airplanes. "The fact that 85 percent of the world's population lives within an eight-hour flight of the Arabian Gulf, coupled with robust business models and investment in infrastructure, allows carriers in the Middle East to channel traffic through their hubs and offer one-stop service between many cities." Twin-aisle aircraft are expected to make up nearly 50 percent of the new airplanes in the Middle East, and more than 70 percent of the value at $520 billion. Both percentages are significantly higher than the global average.